From sites to bites, everything you need to know for a quick trip to Florence. After studying abroad in Florence, Italy I decided that no matter how many times I went back to visit, I would never run out of things to do in this beautiful city. Left and right are the most spectacular views in the world, the tastiest meals and bites, the most incredible museums, and the friendliest people you will ever meet. Three months was barely enough time for me to experience all that this city has to offer, so I can imagine that three days would be a challenge. If Florence happens to be a brief three-day stop on your next trip through Italy, the city might be overwhelming at first. Here is a three day guide including all my favorite places to see and eat in Florence. If I only had three days to visit Florence, these are the places I would go. 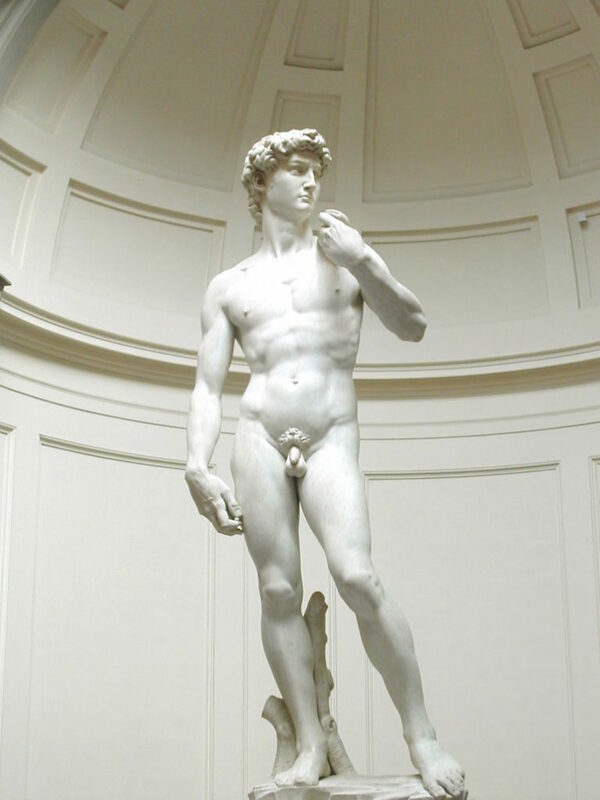 The David, located in the Galleria dell’Accademia, is one of the most impressive and astounding sculptures in the world, and something you should make sure to see when you’re in Florence. Pictures don’t even begin to do this artwork justice, so make sure to stop by the Accademia when you’re in Florence and prepare to amazed. 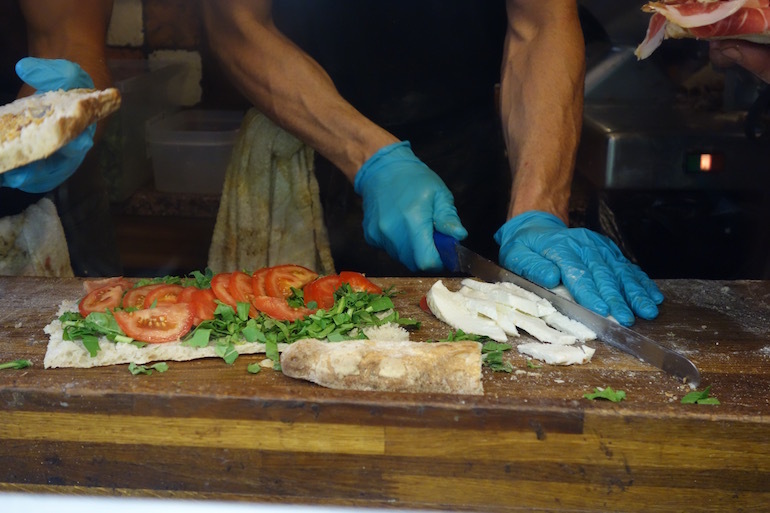 This is hands down the city’s best panini. Near the backside of the Uffizi gallery is a little street, and on any given day there will be a long line winding down this street as people wait for their paninis. 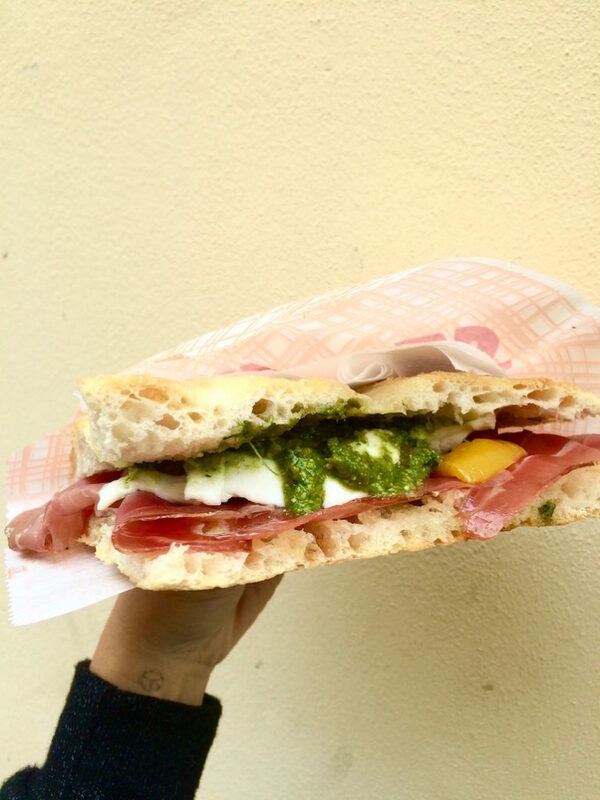 The sandwiches are packed with fresh ingredients, including truffle sauce, prosciutto, and buffalo mozzarella (to name a few), and the bread is perfectly crispy. You do NOT want to miss out. 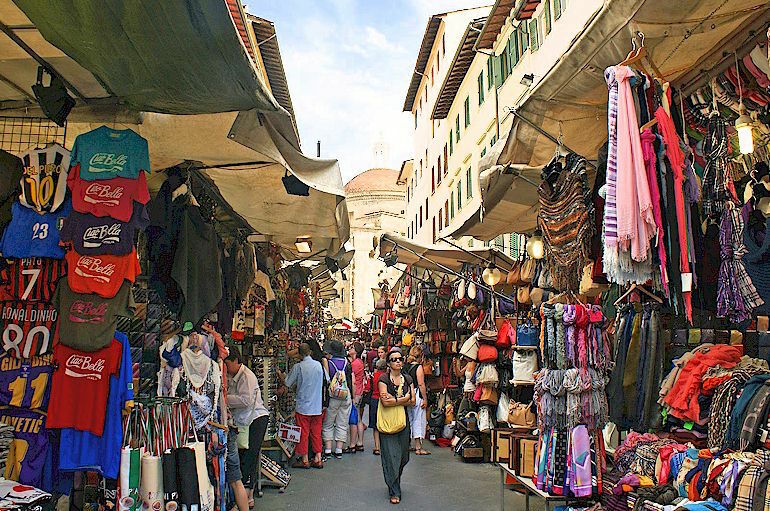 The San Lorenzo Market is a great place to wander around if you’re looking for anything from good leather deals to souvenirs to delicious food. Outside there are vendors selling a variety of things, and inside is a foodie haven with a downstairs and an upstairs. For one of the best views of the city during sunset and also post-sunset, stop by the Westin Excelsior Hotel for a drink. 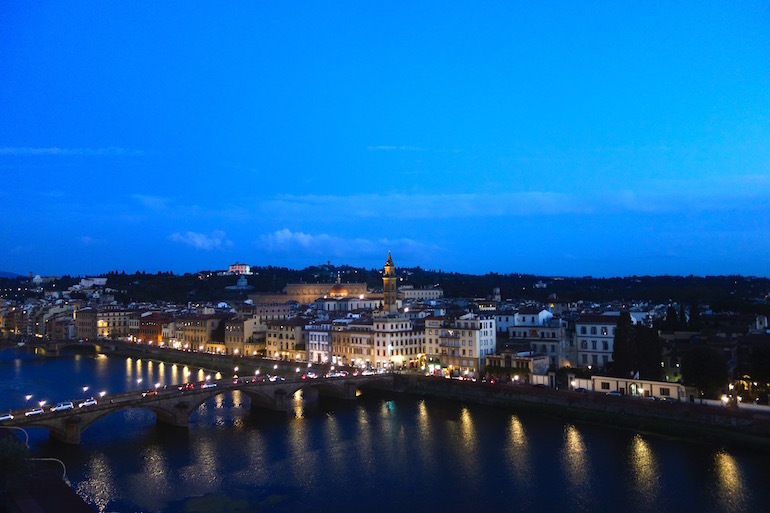 Breathtaking views and impeccable service make for a magical place to spend your first night in Florence. Located a short walking distance from the Westin, Sostanza is a perfect place to eat on your first evening in the city. 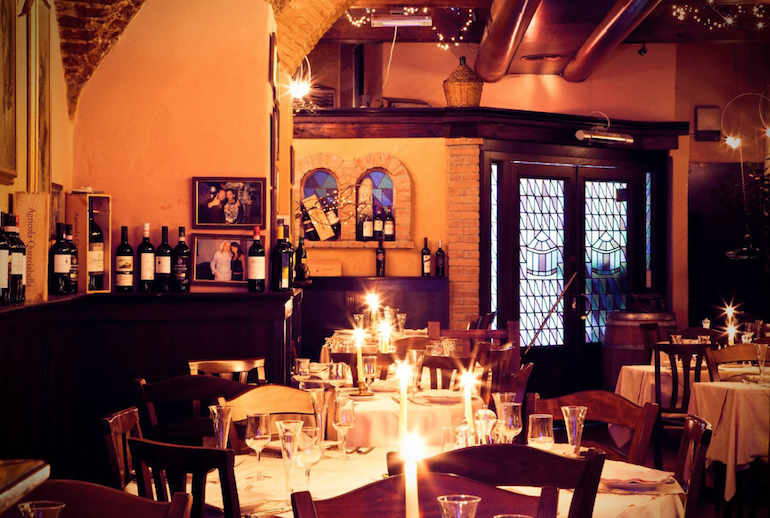 This restaurant is an incredibly authentic taste of Florence, offering only the most classic Florentine dishes. It’s a small and simple menu, but the food is unforgettable. 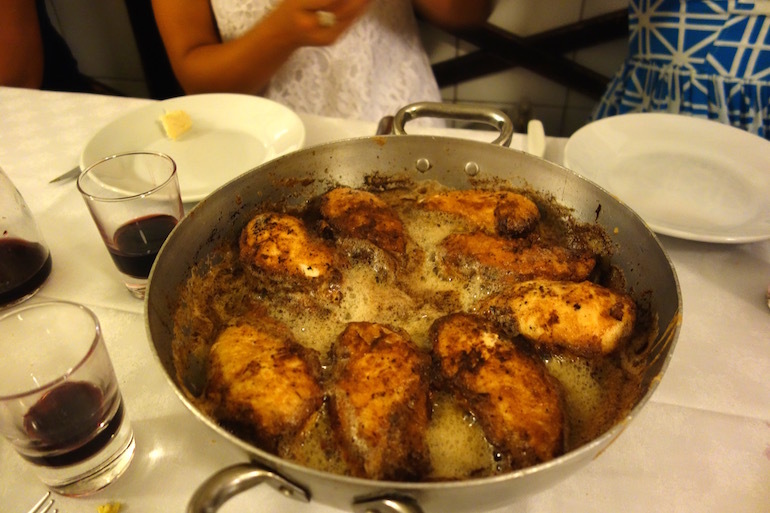 Do not leave without ordering the “pollo al burro” or “chicken with butter.” It may sound simple, and while it is essentially just as it sounds – chicken cooked in A LOT of butter – it is better than any chicken I have ever tasted in my entire life. 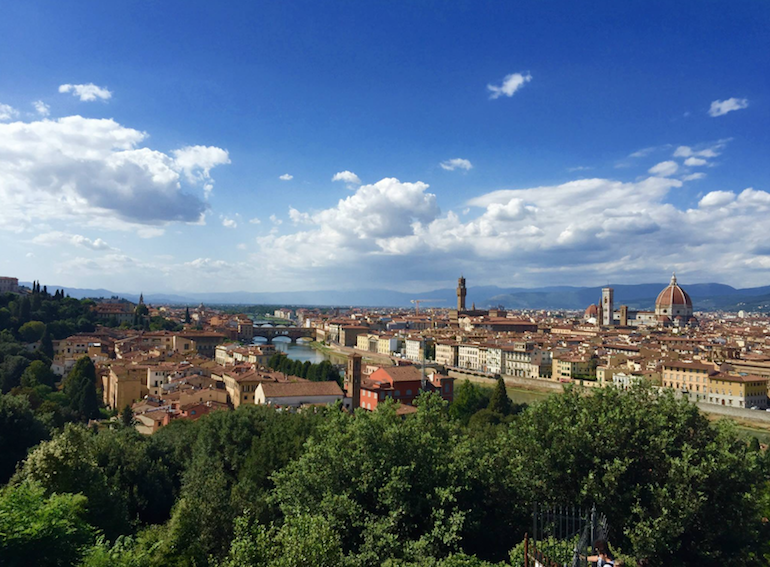 Start your second day by climbing up to the Piazza Michelangelo, quite possibly the city’s best view. From up here you can see for miles across Florence and spot all the monumental buildings and bridges. 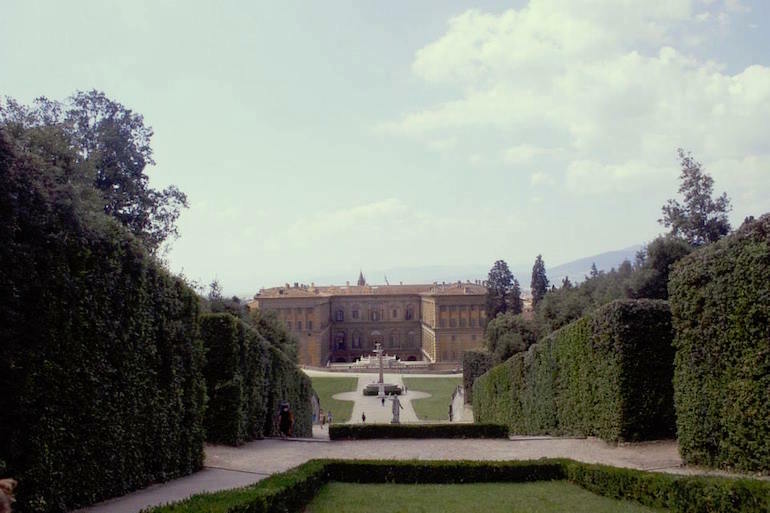 The Boboli Gardens is another must-see. Make sure to set aside a good amount of time to wander through all the sections of this garden since it’s very big. See what secret paths you can discover and what history you can learn on this incredible estate. Gusta Pizza is extremely popular among locals and tourists in Florence, and for good reason. They offer a small selection of toppings like spicy sausage, fresh pesto and ricotta for those of you who like a little extra on your pizza. Or, if you’re someone who likes simple Margherita pizza, even better. Never before has a basic Margherita pizza tasted so good. 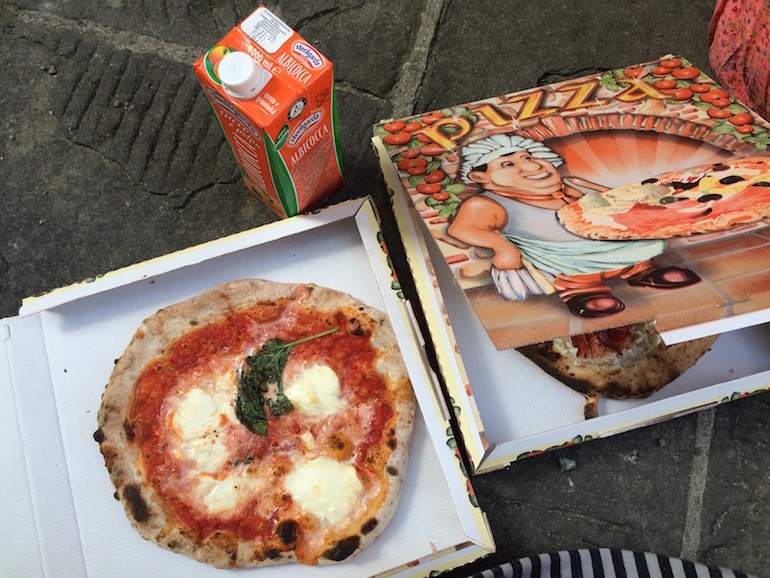 Grab a couple pizzas from Gusta and take them to the Ponte Santa Trinita to eat while watching the sun go down. #Spoontip: If you want to get dinner here, get there earlier than 7 when it opens – the line forms very quickly. 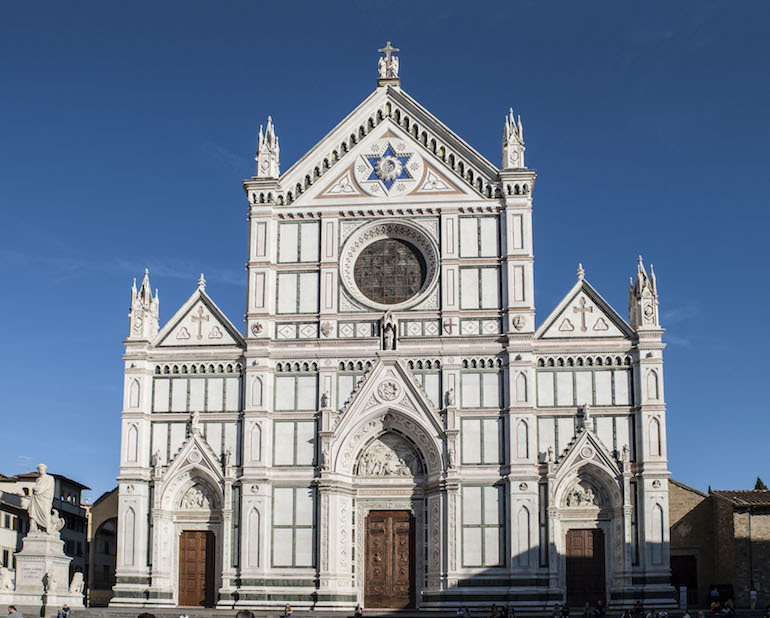 The Santa Croce church is one of the most spectacular sights to see in Florence. Its size and intricate design will stun you. In the winter months, the christmas markets in front of the church are a great place to visit, full of food, trinkets, and cheer. 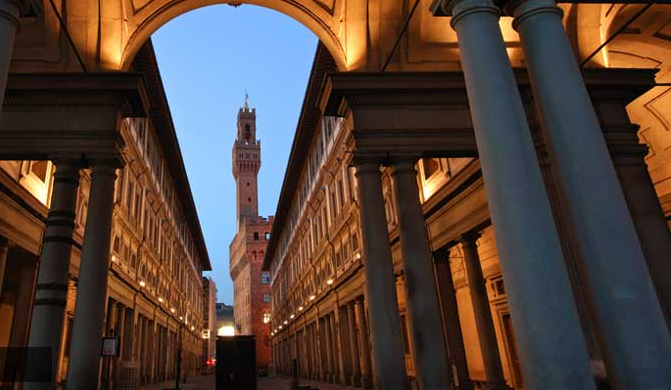 Check this sight out any time of the year to make sure your visit to Florence is complete. 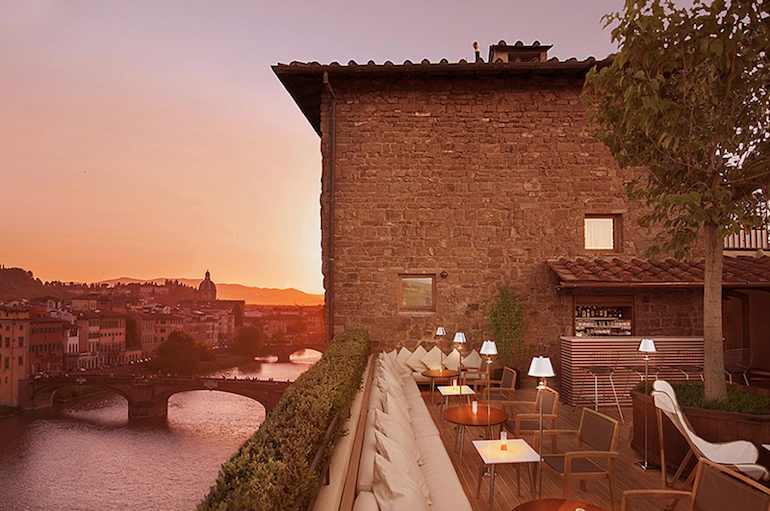 Open in the warmer months, this rooftop bar is another great place for a drink during sunset, located right alongside the Arno river. Look down and check out the hustle and bustle of the city while sipping a glass of wine and breathing in that Florence air. Not only is the food here amazing and some of the best I had in Florence, but the ambience is also perfect. With little lights twinkling all around you, this beautifully decorated, dimly lit room is an ideal place to enjoy a night of wine and Italian food. #Spoontip: Be sure to order the burrata appetizer! Leonardo Da Vinci, Michelangelo, Botticelli. These are only a few of the artists whose work you will get to see up close in the Uffizi gallery. Some of the most well known paintings of all time are lining the walls of this exquisite museum, not to mention the architecture of the building is remarkable in itself. I recommend getting a tour guide for this gallery and giving yourself plenty of time so that you can really appreciate what’s inside. 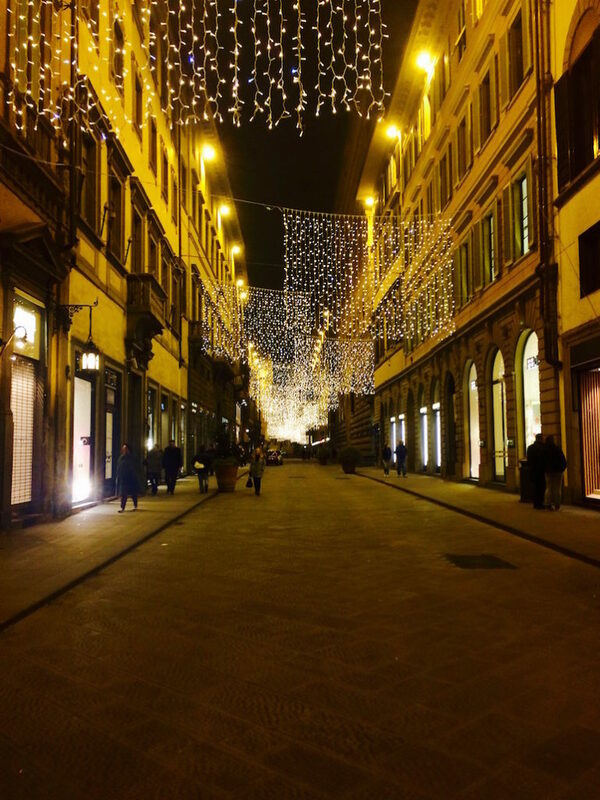 Strolling down via de’ Tornabuoni is a great thing to do on a warm summer day and it’s just as spectacular at night during the holiday season when the street is lit up by christmas lights. Perhaps a section of the city meant only for window shopping, this street is where all the top designers and the fanciest stores are located. Just walking around here will make you feel glamorous. Pino’s is another fantastic panini store in Florence and only a short walk from the city’s center. You know you’re getting close when everyone around you is holding paninis with Pino’s wrappers. These ones are warm, too, which makes all the difference. If you don’t have time to climb both the duomo and the bell tower, I would definitely choose the bell tower. 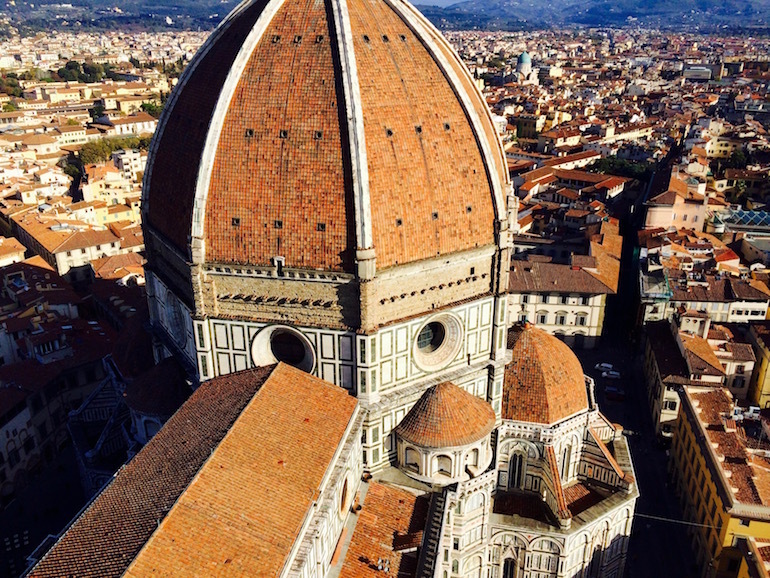 The view of the duomo and all of Florence that you can see from the top of the bell tower is truly unforgettable. The climb up the bell tower is also a lot less nerve-wracking than the climb up the duomo if you’re someone who doesn’t like small, tight spaces. Buca Lapi is another simple, incredibly authentic Italian restaurant that really knows what it’s doing. 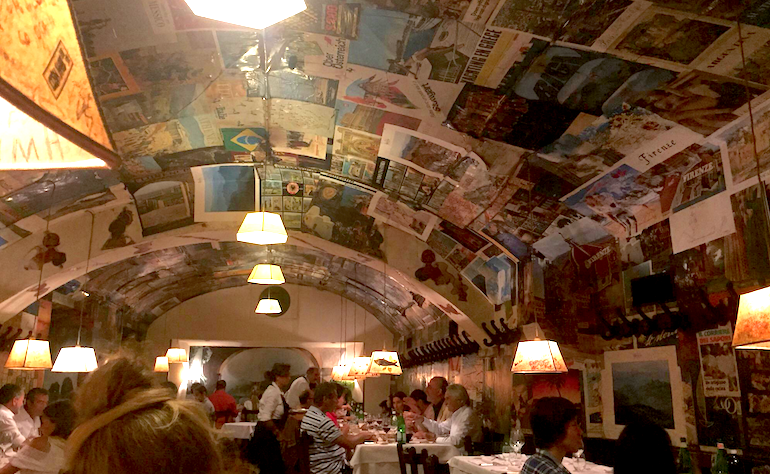 When visiting Florence it’s especially important to experience the true Florentine cuisine, and Buca Lapi is the place where this is possible. Try the classic Florentine steak here. Their simple pasta dishes are also must-tries. Perche No was located right below my apartment during my semester abroad, so I visited this gelateria A LOT. 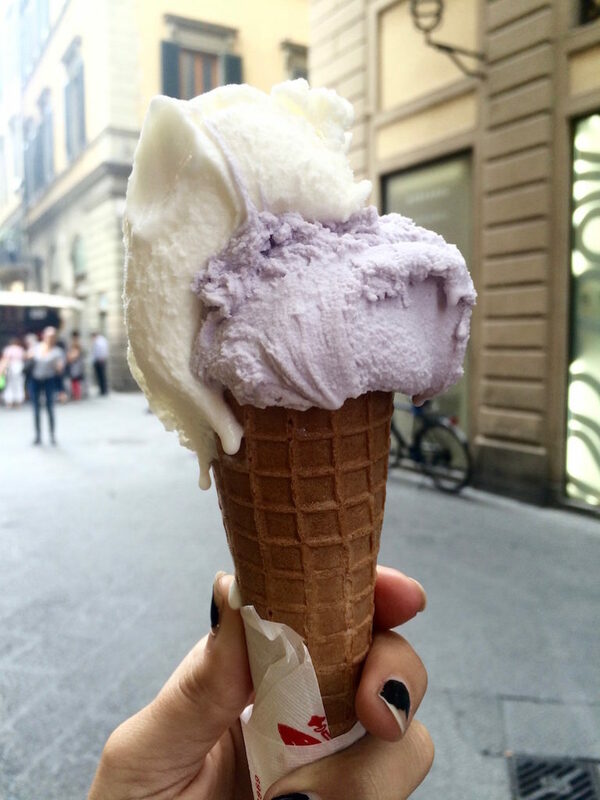 This is the best gelato in Florence, and perhaps all of Italy. The flavors are endless!